Use of the app only possible when you have an active account with us. Sign up for an account now if you haven't done so already. All-in-one solution for you all your business phone needs. Simplifying and amplifying business phone calls. Make and receive calls through a landline number on your smartphone. Create customised greetings for your callers and establish a personal connection with them. #TopTip Configure calls to ring multiple extensions simultaneously so no calls are ever missed! Record calls to be reviewed later or for training purposes. Audio files can be accessed and downloaded via dashboard. Create different versions of virtual receptionists for different scenarios (ie. weekdays, weekends, off-hours) to stay relavant to the caller. If you missed a call, Omni automatically transcribes them and emails them to you for further action. 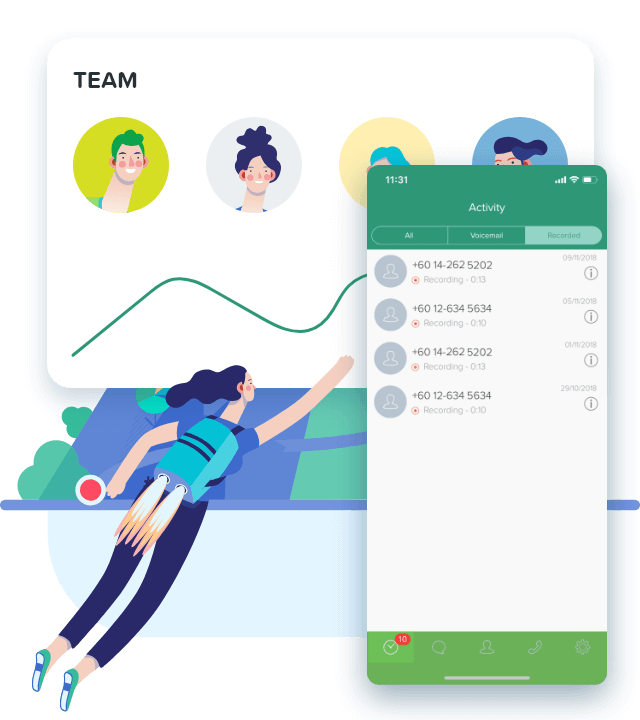 Get notified immediately for any call activities or when someone has left you a voicemail. Access and manage your Omni account from the web dashboard or through the mobile app. Use any language to create your custom greeting and menu messages. Communicate with your audience in the medium of your choice. 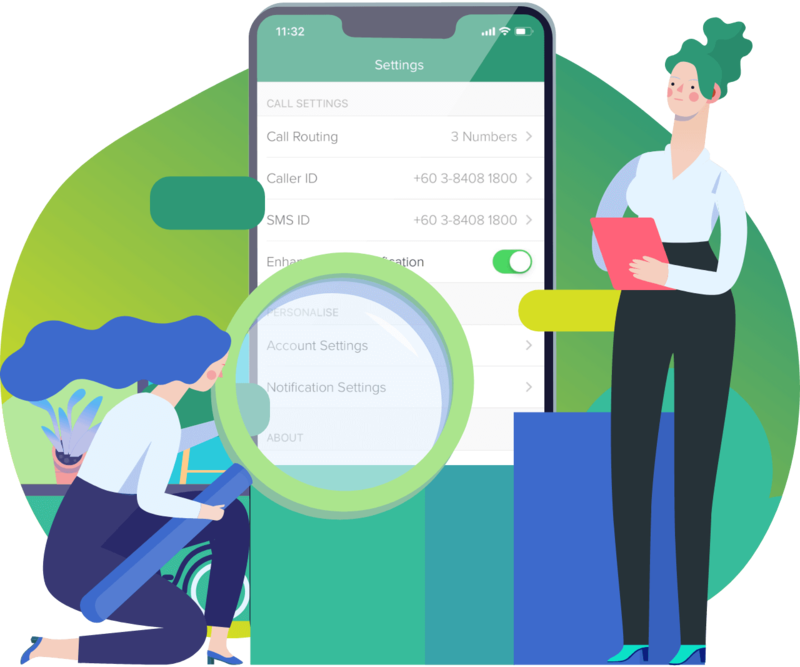 Empower your team by allowing them to configure their settings and manage their calls through their own dashboard access. 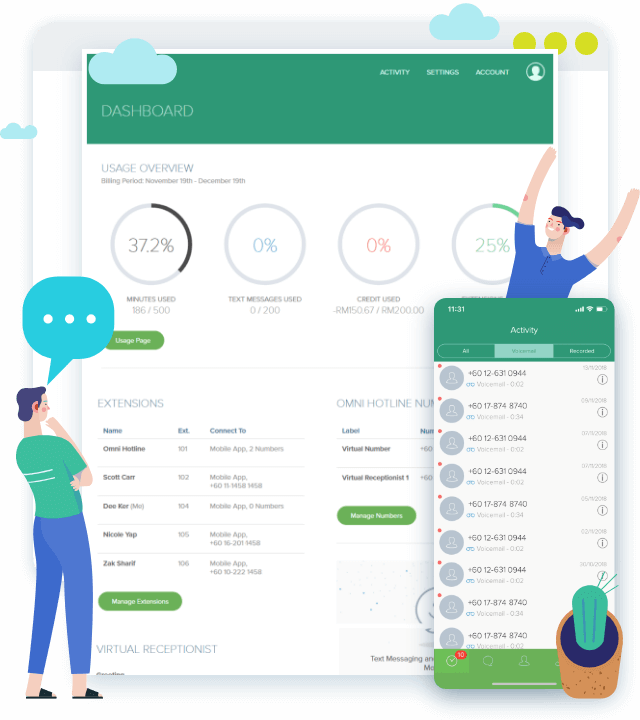 Simply add/remove extensions and connected smartphones based on the current needs of your business. It's very easy! Configure how your inbound calls are managed. Screen your callers before they connect to you with simple in-app controls. Only requires your existing smartphone! No cable works or renovation! Go ahead! You can cancel anytime. What are you still waiting for? Power your business with Omni now! Omni Virtual Phone System is your very own call center at the palm of your hands. Let the Omni mobile app handle your calls while you focus on growing your company. 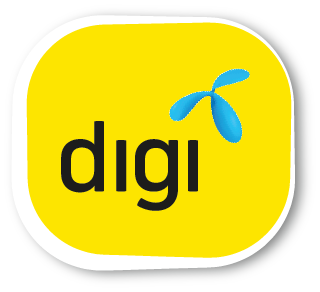 Backed by Digi Telecommunications Sdn. 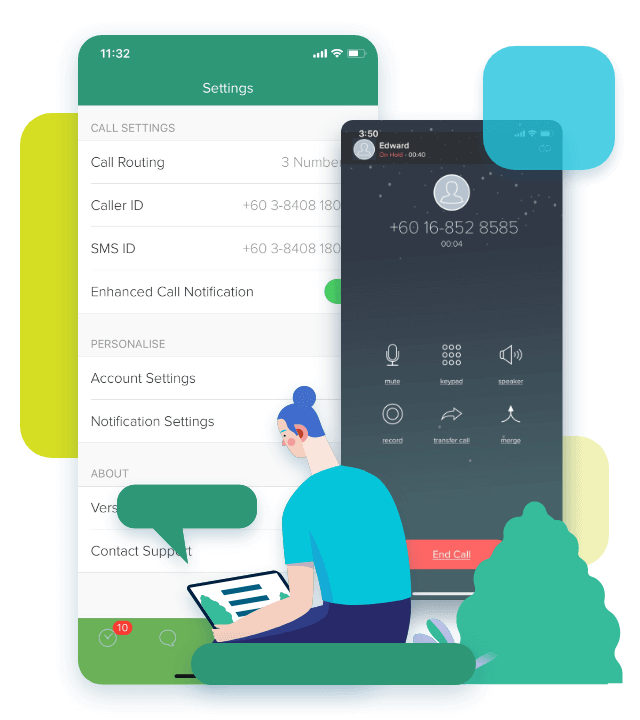 Bhd., a leading mobile connectivity services provider in Malaysia.